I am the fusion of Resonator and Electric. I awaken the desire to inspire. I was designed to open up new worlds of tone. 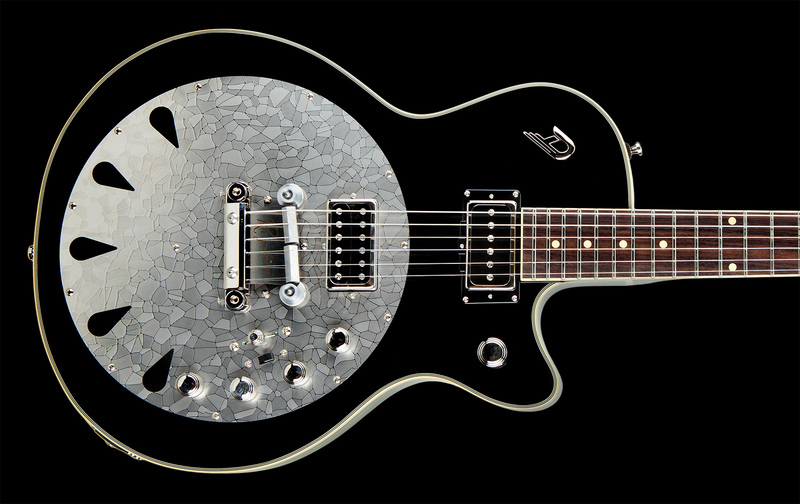 The Rezobro is a semi hollow, electric guitar, replicating Resonator and Dobro sounds with an ingenious bridge design. It features a flat top and back, bent sides, 22 frets and a 647mm scale. 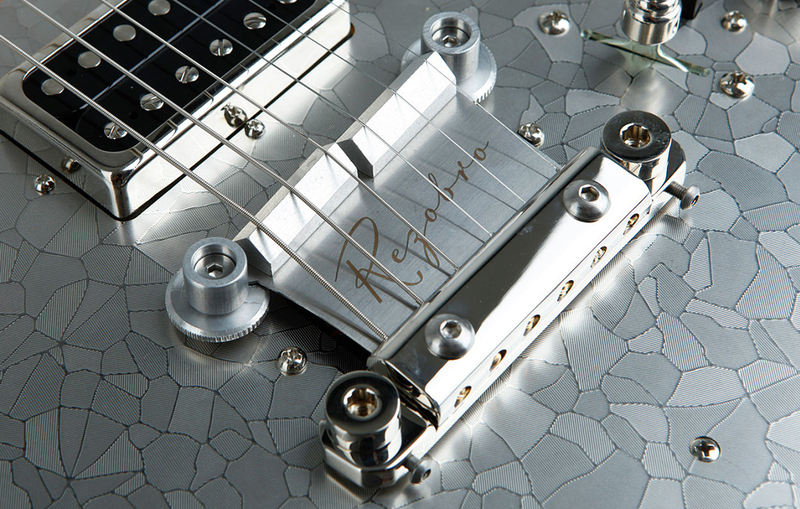 The Rezobro creates authentic Resonator and Dobro sounds by picking up vibrations from a metal leaf which connects bridge and tailpiece. These vibrations are transformed into a tone signal by two separately adjustable pickup systems. The Piezo section creates the high frequency sounds, while a magnetic pickup forms a base layer for the distinct tonal character of Resonator and Dobro instruments. Both systems can be blended together fluently, creating a sophistaced tool to replicate an endless array of tones. 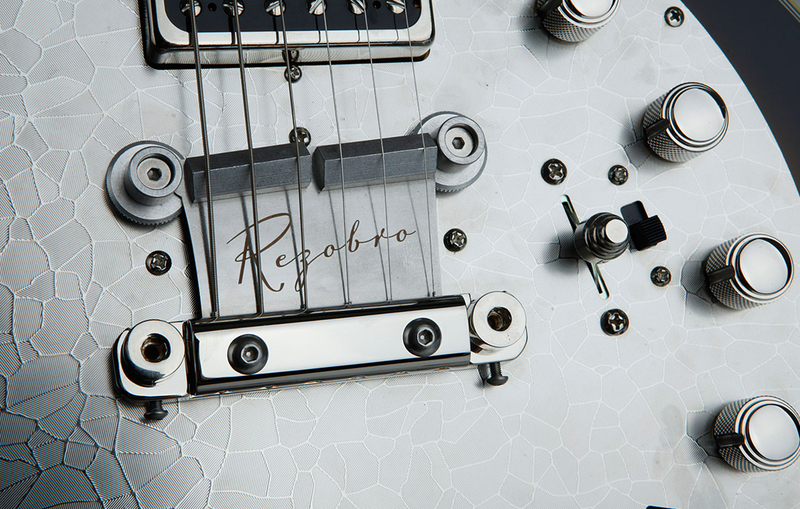 Additionally, the Rezobro is fitted with two of our standard magnetic pickups (Domino P90, GrandVintage Humbucker), which can be used to either create a standard electric guitar tone but can also be blended with the Rezo section to create mixes between both worlds. In case you want to use the Rezobro as a standard electric guitar, we added the ability to completely lock the Rezo section by tightening two thumbweels beneath the bridge. The Rezobro is also fitted with a custom brass nut which can be adjusted in height to fit certain slide playing techniques. 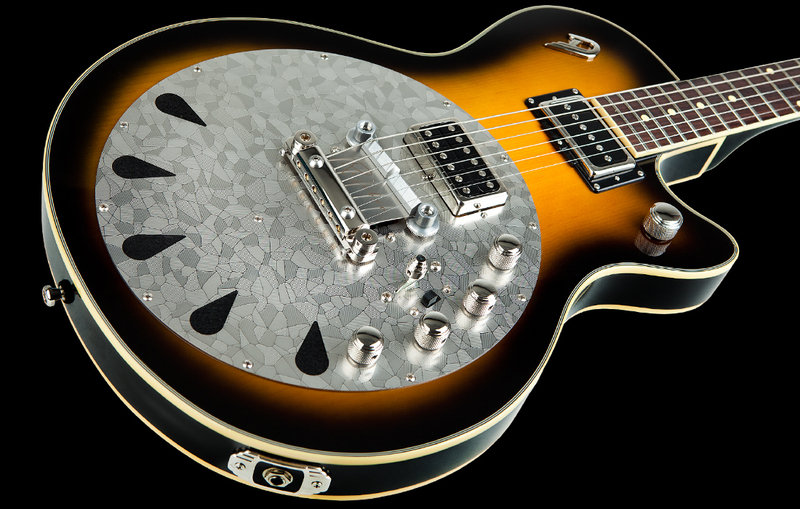 The Rezobro is available in a High-Gloss Black, Vintage White or Two-Tone Sunburst. Due to its feedback resistance and extraordinary tonal flexibilty in replicating Resonator and Dobro sounds, the Rezobro is a great additional tool for everyone who enjoys to create music with this special character. Size: 46 x 34,5 cm / 18.11" x 13.38"